You'll always remember it. 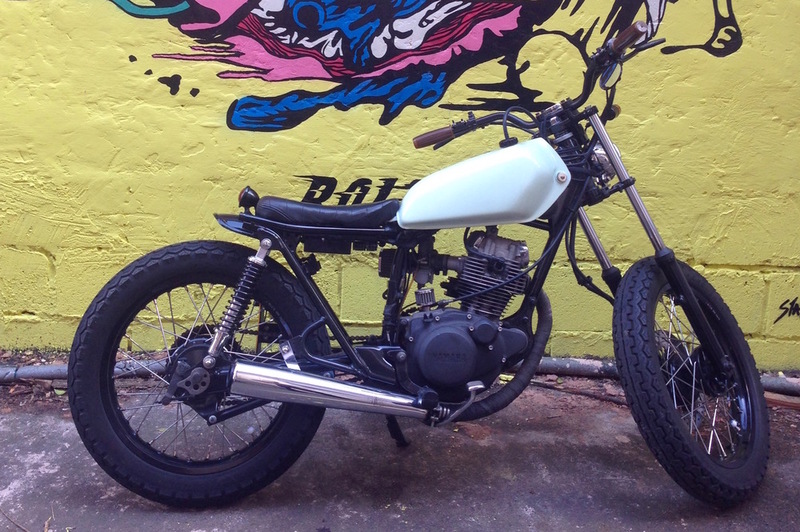 Mine is my trusty Yamaha SR125 which was the first bike I ever built with @five_customs. I now own other bikes too but I still can't ever part with this little fun machine as I've had such a good time on it! Your first bike is always pretty special whether the memories are good ones with summer adventures with friends or bad ones with carb problems & kickstart troubles. At the VC we get a lot of questions about first bikes. Which ones are good, which are reliable, which ones are easy to start to learn to customise???? So here we have it.. Our brief guide to some of the small, well priced second hand bikes that we like for a first ride. Firstly, to explain why the bikes here are all small engine bikes for anyone outside the UK. Here in the UK the first step you can take to getting yourself on the road is the Compulsory Bike Training course. The CBT takes 1 day & gets you on the road on any bike up to a 125cc engine (or up to 14.6bhp) so you can start learning. After this comes a 3 part test (theoretical test, the mod 1 practical riding test & the mod 2 road riding test.....phew!) to get you your unrestricted bike licence to ride any bike you want. Some people choose to do this all in one go but a great way to learn to ride at your own pace (especially when you throw into the mix learning on the busy London roads!) is to get a 125cc motorbike while you get used to riding. Riding a small bike isn't always as restrictive as you would think. We've had some amazing summers riding all around the UK (using mostly the A roads/ scenic routes as you can't use main motorways when on a CBT licence) & for London traffic throwing a small bike around is like riding a BMX with an engine & gets me everywhere quicker than on my Triumph, so it doesn't necessarily mean you're not gonna be able to travel far but there are a lot of things to consider when you're choosing your first bike as well as styling. A good place to start is to decide whether you want a kick start or electric start. I know people that love kickstarts & I know some who love electric starts. Obviously an electric start is slightly more practical but I know people who have kickstarts as their first bikes & have had no problem. Its all down to practice! Getting the kickstart technique down takes a bit of time but with a well looked after bike it shouldn't be too much of a problem. Totally your choice! Next think about that age of the bike you want. Older bikes can obviously come with more problems but some can be in great condition if they've been looked after. Its always best when going to look at a bike to take someone who knows a bit about bikes with you to give it the once over. Most second hand bikes (especially the models we like below) don't come perfect & small bikes often get thrashed around a lot as learner bikes so getting a second opinion on the bike you wanna buy is always a good idea. It doesn't mean it'll be fool proof as there can be hidden problems but its the best shot you got as getting a good starter! For a first bike that you want to start changing personally I think customising small parts as you go (indictors, fabricating small brackets, new headlight, back light etc ) is the best way to start learning a little about your bike whilst still being on the road. Bigger projects take a long time & once you take that bike off the road it can take a long time to get it back on as you'll be all "whilst I've got the wheels off I might as well paint the forks & whilst I've got the forks off I might as well chop & blast the frame & get it powder coated" (believe me, Ive made that mistake). Buying a Haynes manual for your model of bike is a good idea to get you started on basic bike maintenance for your specific model. It'll give you a step by step guide to that first oil change or brake check & once you do it once you'll start to know more for when you want to change things around on your bike to customise it. If you have the space, time & ££ to do a full scale rebuild start by researching other bikes like your that other people have rebuilt. 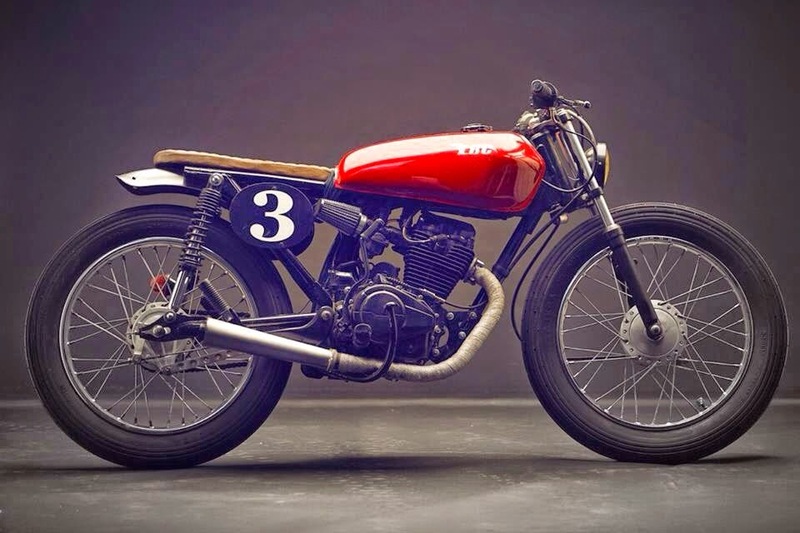 There are some amazing builders of small engine bikes out there at the moment. But be warned! A full scale rebuild takes time & quite a bit of cash (even to do a small engine bike) & you'll need someone with a lot of experience mechanically give you more than just a small hand at first. So before you pick up that grinder & cut the arse off your bike maybe think about getting an experienced builder to build your bike or buy an already customised bike from a reputable builder thats already finished if its really what you want right off the jump without learning your way around first. The Yamaha SR125 first appeared in the UK way back in 1982, was withdrawn in 1986, then returned in 1991 until 2003. - £400- £1200 secondhand although interest in customising small bikes is sending the price upwards as we speak. - There are a lot of bolt off parts that you can take off or change on the bike to instantly give it a better look from stock. - The SR is a slightly more bulky bike compared to the Honda cg for example & has more of a cruiser stance to the stock bike, making it a good start for a bobber style. - Watch out for ex-training school models with bent forks, broken indicators, levers and dented exhausts as these bikes were famous for CBT training. - Electric start is a recent addition to the bike so if you are after a non kickstart look for one from around 2000 onwards as most come with kickstarts. - The later CG models have a much better saddle & have disc rather than drum front brakes plus a five speed gear box rather than the original 4 speeds. - Depending on the year you can pick these up pretty cheap from around £400 (older model with kickstart) going up to around £1200 for a newer model with electric start. - Pretty easy to maintain due to the basic set up & requires only minimal basic tools to start tinkering. -The later 2004 onwards Honda CG125s have a vastly improved gearbox and slightly more power. - These bikes are simple, cheap, hassle free modes of transport, for those of you whom need a cheap but reliable ride. - The stock bike is a pretty low, slim set up which suits a more cafe racer or tracker style look well. The Suzuki GN125 was made between 1994 to 2001 as a predecessor to the Suzuki GS125 making this more of a newer bike model out of all the bikes we've listed here. - Electric start on all models due to the newer manufacture of this model of bike. - Due to its newer manufacture you can expect to pay a little more for this bike. Around the £1000- £1200 mark is a good price for one in decent condition. - Like all bikes here this little bike is a bit of a workhorse but due to its newer manufacture they usually come pretty trouble free & make a great, sturdy bike to learn on. - Watch out for a lot of rust around any welded spots as this is a common fault with this model of bike. - Like the Yamaha SR the GN has a slightly higher stance than the Honda CG & CB. - The mirrors on the stock bike stick out pretty far making the bike quite wide for nipping round traffic, but thats nothing some simple screw in custom replacements won't fix. BUILD 4: MOTOR ROCK JAPAN (image from http://www.motorrock.net) - Ok ok, its cheating a little as the frame is a total custom build but the engine is a GN125 believe it or not. 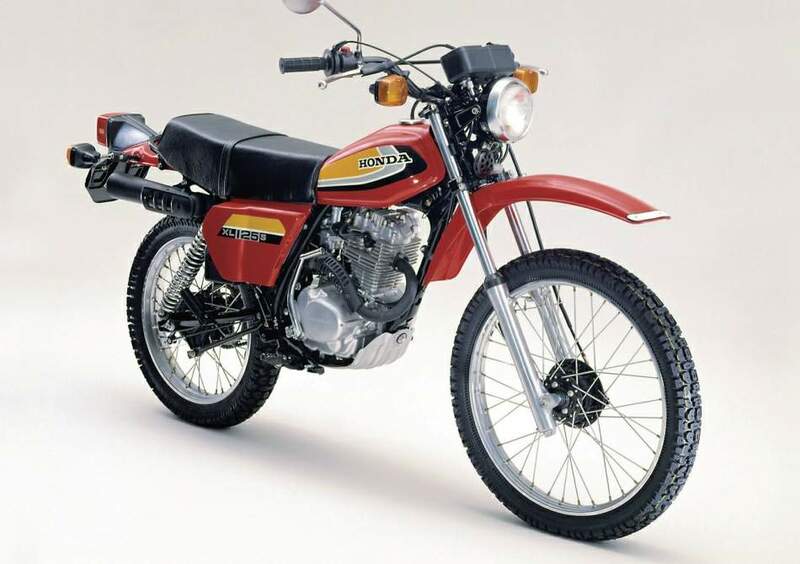 The CB100 was originally launched in 1970 & also comes in a 125cc model (made between 1969- 1985). - Come in kickstart models only. - You can grab one for anywhere between £300 (needs a lot of work) - £1000 (in good condition). You can also find some absolutely mint condition cb125s for anywhere up to a couple of grand as they are a popular choice for total restoration jobs due to their retro looks & heritage. - Incredibly lightweight & small. - The CB100 is pretty nippy off the start but is a little underpowered at high speeds than the rest of the bikes here due to its smaller engine size. 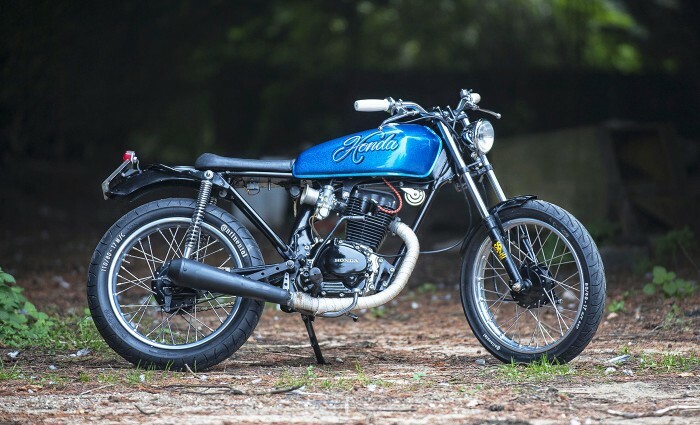 - The smaller CB models from Honda are popular for vintage motorcycle racing due to their retro looks & can suit anything from a cafe racer look to a tracker style.